It is easy for kids to access online content very conveniently using their smartphones and parents find it extremely difficult to track what they are doing. The easy availability of Smartphones is the biggest reason for kids becoming vulnerable to objectionable and violent content available freely over the internet. In this article we will tell you how the Android keylogger can help protect your child. Access to various websites without any check using mobile network data and low cyber supervision are the biggest causes of the increasing crime rate among teenagers. Although it is not recommended to give a smartphone to kids from such a young age, today’s lifestyle and growing peer pressure and decreasing parental control and guidelines are opening kids to this world of illusions that sometimes make them commit hideous crimes or make them a victim of crimes. 1 Why do you need to have an Android keylogger? 2 What are the benefits of Android keylogger? Why do you need to have an Android keylogger? The internet is full of content that is not suitable for young ages. You cannot stop your kids by just teaching or punishing them. You must, therefore, keep track of what your kids are accessing over the internet using their android phones. The need for a supervisory app that can monitor and control the movement and use of internet-based activities on mobile phones is but essential. Well, there is an answer to it, the Android keylogger. An Android keylogger helps you know exactly what your child is viewing and accessing through his or her smartphone. It gives the parents a shield by which they can protect their child from all kinds of online vulnerabilities that are potentially dangerous for the child’s future, his or her upbringing and threat to their life. What are the benefits of Android keylogger? There are plenty of advantages to using the keylogger application. To make you understand these better, we have listed down below some of the various reasons why parents today are making you of Android keylogger. 1. It allows you to capture the exact keystrokes that your child is making on the phone. This gives you the power of knowing who the child is in contact with or what kind of content he or she is searching. 2. You can quickly check the type of messages that the child is sharing with other people and allows you to make sure that no personal or private information is being shared with strangers. 3. The Android keylogger gives you the benefit of viewing your child’s web history to make sure that they are accessing content which is suitable for their age group. 4. Parents can check the call history of their child and even record them to check whom the child is contacting and if there is any danger from those in contact. 5. The keylogger comes with the feature that makes it possible for the parents to view the screenshot which is taken or the photos captured through the camera. You can also check what kind of images that were shared on any of the social media websites from your child phone. 6. One of the best security features that an Android keylogger provides is that of GPS availability. It allows you to check your child location at any point in time accurate to a certain distance. Just prove to be a great reliever especially when the child is going out with his or her friends. 7. You can also block the type of games and applications that your child is accessing and even block them when you feel it is essential for the child to concentrate on their studies only. An Android keylogger will help you have a peaceful sleep instead of worrying about what your child is browsing on the internet. 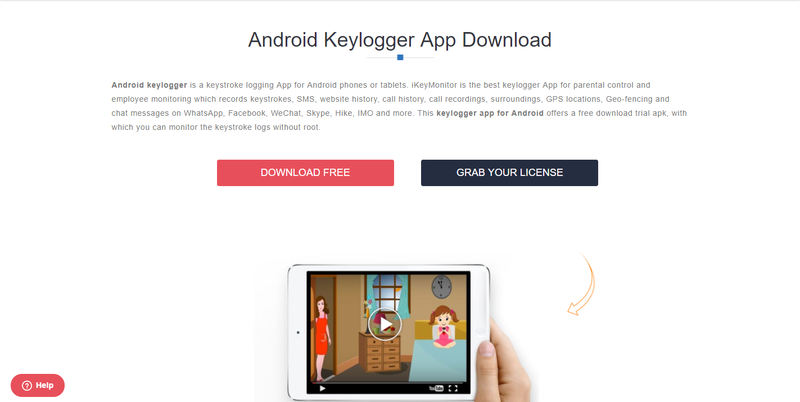 With so many applications and games that are harmful to a Child’s Psychology, an Android keylogger can turn out to be a great asset. There are numerous keylogger applications available on the Marketplace. However, iKeyMonitor has turned out to be one of the favorites and most preferred keylogger app by parents today. Because of the numerous features that it offers within the same application and also due to its ease of use the Android keylogger has become a handy tool to protect your child against the cyber vulnerability. But it is essential that you are downloading the application from a reliable source to get the most secure version of the app.